Isuru Udana's astonishing 84 for Sri Lanka wasn't enough to stop South Africa from clinching their Twenty20 international series with a 16-run win in the second match at SuperSport Park on Friday. Udana thrashed his not out score off 48 balls to take Sri Lanka from a seemingly hopeless position to one where they had an outside chance of winning. 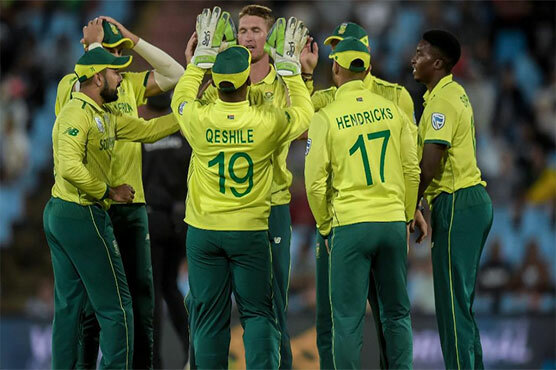 It initially looked easy for South Africa, who scored 180 for three after being sent in, with Reeza Hendricks hitting a fluent 65 and Rassie van der Dussen a powerfully-struck 64. Hendricks started the season as one of the favourites to make South Africa's squad for the Cricket World Cup later this year but a run of poor form, together with the resurgence of Aiden Markram, put his chances in doubt.